On Aug. 9 just after 1:30 a.m. police were called to Madinah Mosque, on Danforth Ave. after two men were allegedly caught damaging the mosque’s door. The mosque’s door was slightly damaged and the men from the mosque found two men walking to a vehicle in the mosque’s parking lot. They allegedly had weapons on them —an axe and a mallet. Also one man was wearing a balaclava, said Stanley. Vandals attacked two mosques in France early Sunday, setting fire to one in the western city of Quimper and scrawling insults on the walls of another in Carcassonne, in the south, officials said. Muslims began their celebration of Ramadan, a period of prayer and fasting, on Sunday. Firefighters called to the scene at 4:20 a.m. extinguished the blaze at the Penhars Mosque in Quimper, in the Brittany region of western France, said Philippe Paolantoni, deputy prefect of the region. Swastikas were scrawled on the outside walls. The prosecutor's office opened an investigation. Shots were fired at a mosque as members celebrated the start of the Muslim holy month of Ramadan, but no injuries or arrests were reported, authorities said today. A member of the Islamic Society of Brevard County stepped outside of the mosque Friday night to use his cell phone when he heard several gun shots, the Melbourne police department said. The member, who was not immediately identified, took cover behind a wall as several rounds struck the building's south side, police said. He then ran inside and told mosque members, who called police. Three men charged in connection with a violent home invasion last Saturday have been released from custody on sureties of $25,000 each and on the condition they rid their homes of all swords and daggers. I am a person very proud of his Western heritage and Mediterranean ancestry. I served in the United States Marine Corps in a combat role in Vietnam. 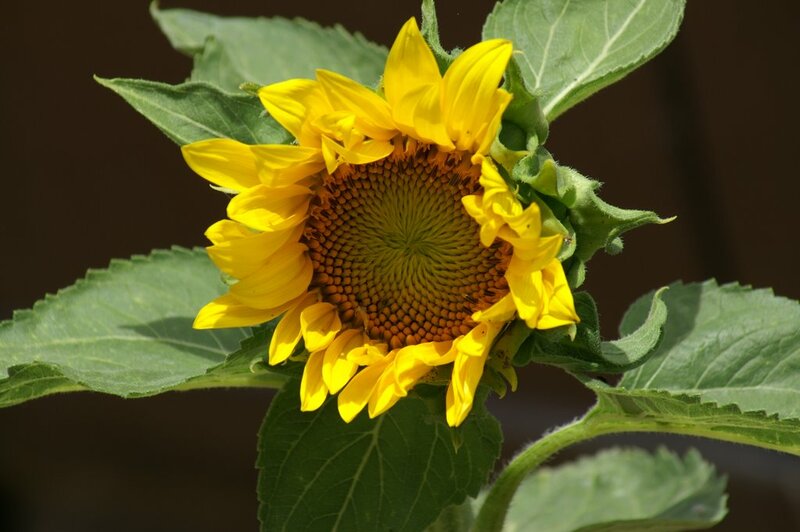 I came back from Vietnam a quite demoralized veteran with moderate post-traumatic stress and rejoined a society in great flux: the anti-war movement; civil rights movement; the student movement; hippies and flower children. Despite personal and social turmoil in the late 1960s and early 70s, I got some college degrees and taught history and social science for the past thirty years. After having considered myself a Sikh for the last 15 years, it was just two weeks before 9-11-2001 that I decided to be a more “complete” Sikh by not cutting my hair and by wearing a turban. The timing could have been better! The post-9-11 prejudice against anyone with a Middle Eastern appearance affected me greatly and immediately. People, especially men, with any sort of “Middle Eastern” look, became targets of American anger and frustration. A Sikh, a cousin of a very dear friend, was murdered in cold blood in Arizona days after 9-11. He was neither a Muslim nor an Arab. Wherever I went -- restaurants, shopping malls, city parks, and even college campuses (the so-called bastions of liberalism), I would hear things like “Hey, Osama!”, “Down with the Taliban!” and “Go back to Arabia!” I happen to have been born in New York City. At my part-time job in a bookstore, I was called Gunga Din and Swami by customers. Again, we are neither Muslims nor Hindus, but we respect Islam and Hinduism. Although Sikhs are closely associated with the Indian armed forces, a young Sikh was recently commissioned an officer in the Pakistani Army. The syndicate has two billboards in Berks County promoting Sikhism. Sikhs wear beards and turbans, but they do not follow Islam, Athwal said, adding that the majority of Sikhs live in India. A report undertaken by the Department for Communities and Local Government (DCLG) has found that Muslim women, particularly those who wear the hijab, are finding it difficult to find work due to stereotypes in the workplace. Engaging with Muslim Women also found that ethnic minority communities overall have a lower employment rate than the rest of the population with Bangladeshi and Pakistani women suffering the worst with the rates hovering around 24 per cent. The report was undertaken after a meeting on 10 May 2006 at 10 Downing St between Prime Minister Tony Blair and 40 Muslim women from across the UK. The women were able to talk to the Prime Minister about the issues affecting themselves, their families and their communities. A Muslim pilot fired a week after the Sept. 11, 2001, terrorist attacks was let go because he was seen in a bar in uniform, not because of religious bigotry, a three-judge federal appeals court panel ruled Tuesday. The panel of the 8th U.S. Circuit Court of Appeals affirmed a district court judge's ruling that Trans States Airlines did not violate discrimination laws in firing Mohammed Shanif Hussein of San Bruno, Calif., on Sept. 18, 2001. The Equal Employment Opportunity Commission office in St. Louis filed the suit on behalf of Hussein. EEOC attorney Robert Johnson said the agency was still considering whether to seek a hearing before the full 8th Circuit. The opinion is available here [.pdf]. Tarik Ali, a Muslim and DC firefighter, claims his lieutenant told him to make a choice between his job and his religion. Ali and his attorney say they have a tape of the conversation, which took place back in July. Ali and his lawyer tell us that the purpose of the July meeting was in response to a complaint filed by Ali alleging harrassment by his superior. DC Fire and EMS spokesman Alan Etter says that officials would have liked Ali to follow department channels in filing a complaint instead of notifying the news media. As sensitive as this day is, I am appalled and dismayed to see your front page photo under the caption 9/11: Five years on. The photo of the Sikh gentleman on the front page, although might of been meant to comfort, has done nothing but strike fear in the hearts of those left behind. I appreciate your story and understand your reasoning in writing it, but to have a photo of a man that is dressed in Taliban apparel has just the opposite effect. Yes, the gentleman on the front page is a peaceful, loving person, but to have him on the cover does him a great disservice. There was a red carpet. Four hundred fifty people. Press cameras. Hot food. Banners that read "United We Stand, Divided We Fall." A whirl of conversation that settled when the film began. And a standing ovation when it ended. It was the night of our world premiere in Phoenix, Arizona, and it officially launched Divided We Fall into the world. The premiere was held on the eve of the five-year memorial of Balbir Sodhi's murder. 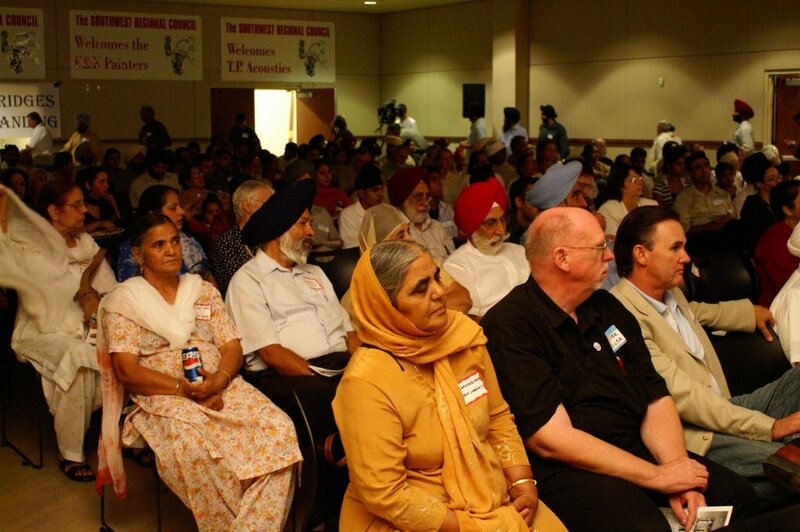 Hosted by the Phoenix Sikh community, the event was a memorial for those who died on 9/11 and in its aftermath. The Sodhi family was there, and so was his widow Herjinder Kaur. My journey to make this film began with the story of the Sodhi family, and so we were deeply honored that the premiere of our movie would honor of the strength and resilience of this family and the larger Phoenix community. 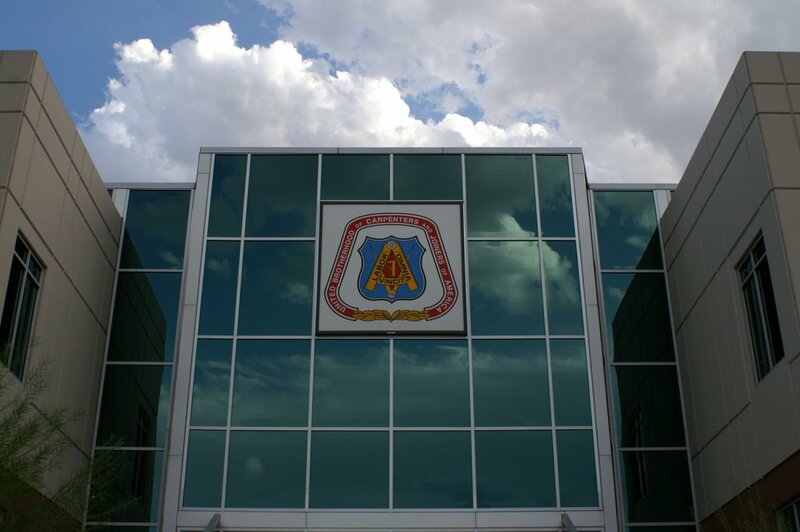 We arrived at Carpenter’s Hall, a large glass building donated to us by the Phoenix Police Department that reached up into the clear blue sky against the desert landscape. It was a grand space. Sharat (the director) and I arrived with members of our film crew, now our very close friends: Irene Yeh, my beautiful friend now working on teaching curriculum for the film, Scott Rosenblatt our talented editor, and Eric Santiestevan our soulful composer. (We are left to right below, except for Sharat who's taking the picture). 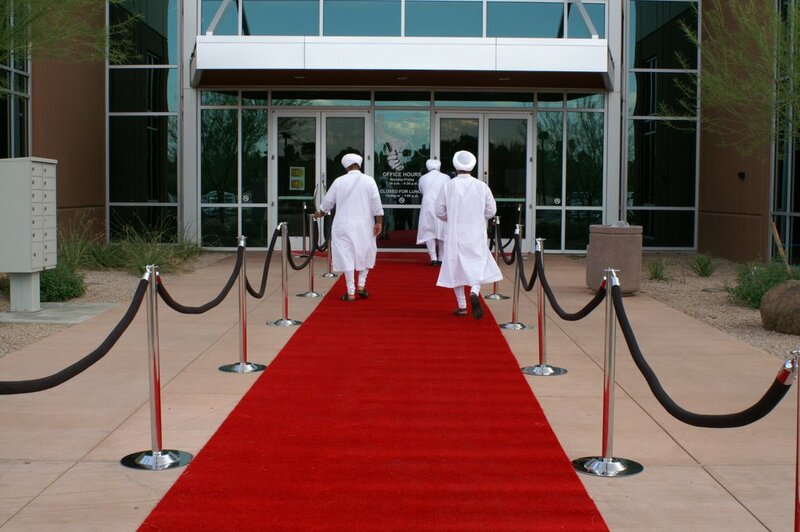 We walked down the red carpet together through the double doors, as Sikh men and women on either side greeted us. There we embraced the Sodhi family - and Herjinder Kaur, Sodhi's widow, whose words conclude my journey in the film. 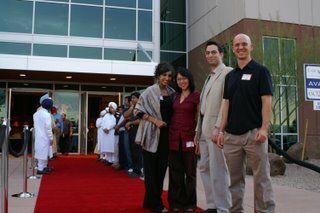 It was our first red carpet, the most welcoming we had ever seen. 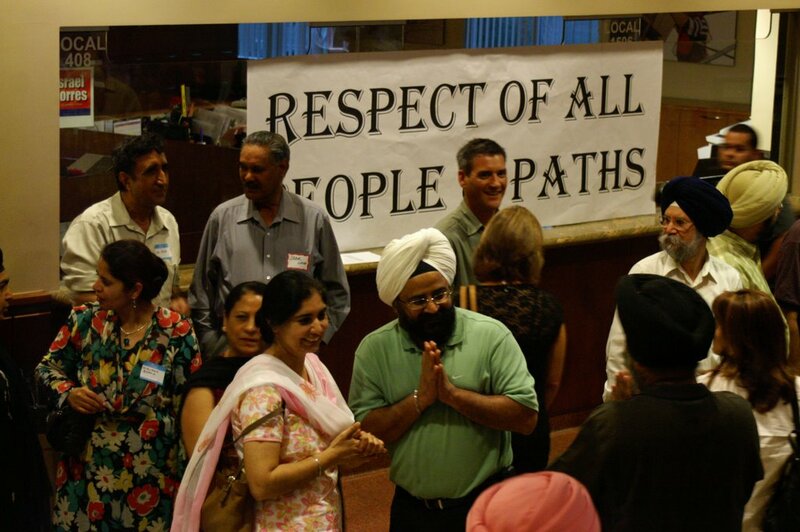 Hundreds of people soon filled the great lobby, wearing name tags, holding plates of hot Indian food the Sodhi family had prepared, meeting one another - police officers, community activists, Sikhs and non-Sikhs, people of all backgrounds who had first gathered together five years ago when Sodhi died. At 6:30pm, the doors opened and the crowd entered a long intimate hall, chairs reaching to the very back where TV cameras were set up. 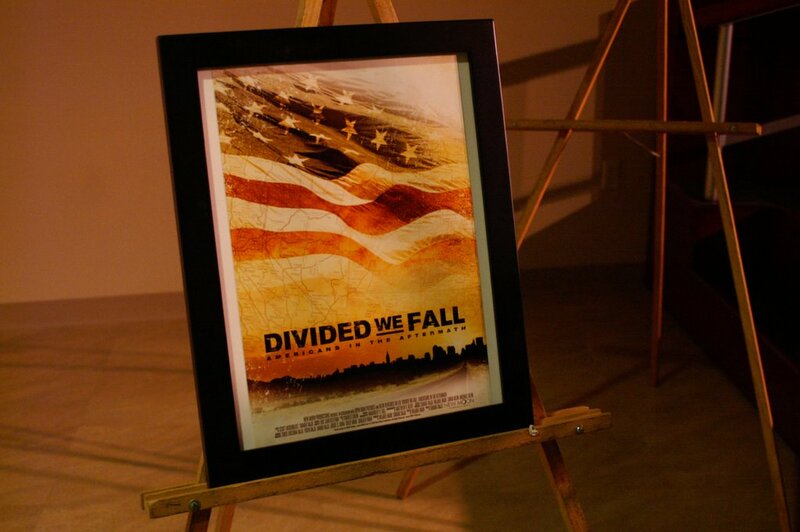 People passed the first printed movie posters for Divided We Fall as they sat down to face a projection screen reaching to the ceiling. The program began with a song on the oneness of humanity by Bibi Bani Kaur, whose voice had always moved me when I heard her sing on visits to the Phoenix gurdwara. People of all faiths, including the Sodhi family, stood behind her on the stage. GuruRoop Kaur Khalsa, spokesperson for the Sodhi family, the woman who has supported me over the last five years, from sharing interviews to raising funds, then introduced the film. And it began. My face gave it away. I was either smiling or crying or hitting my crew members on the shoulder at particularly moving parts throughout the whole film. I was in awe. It was the first time I had seen the completed film on the big screen and fireworks went off in my brain during every scene: yes, yes, yes - this is right - this is exactly how we envisioned it. That’s when I realized we did it. All of us together. Five years of doubt, fear, despair, but perseverance as we labored over creating every minute of the film. For the first time, I felt completely content. It was the end of a chapter, and the beginning of a new one. The film ended with applause and then a standing ovation. When Sharat and I took the stage, I saw tears in peoples' eyes and smiles through the tears - as if reaching into the deepest pain brought out the fiercest hope. "It is the strength and resilience of the Phoenix community that has continued to inspire me throughout making this movie." I said. "The togetherness you exemplified after Sodhi was murdered is a testament to the unity that is possible for all of America. I thank you and commend you." The first woman to stand up had been a civil rights activist for years. "Thank you for making this film. Thank you for inspiring all of us." People then asked when the film would be available. We explained that we hope to develop teaching curriculum around the movie and release the dvd at the end of next year. Irene (pictured) is part of the team working on that. In the mean time, anyone who makes a $50 donation to the film today is promised a copy of the film as soon as it's ready. A Sikh woman my age told me that her husband faces discrimination everyday. Whenever someone yells at him to go home in a new city, he crosses that city off from the list of places he wants to live. "Thank you for making this movie - for my husband Gurmukh - thank you," she said with tears in her eyes. A Native American woman introduced me to her daughter. She was sick of hearing racist taunts at work, and she wanted her daughter to hear the stories of other communities who have suffered injustice. "As a native American, my perspective on America is left out of the conversation," she explained. "Thank you for making a film that speaks to all of us." A fellow filmmaker who has worked on a social justice movie for the past three years asked us how we did it. “I have no idea how independent films are made,” I exclaimed. “I have no idea how ours was made! I guess it’s a miracle of determination." And finally the Sodhi family. Balbir's brothers Harjit and Rana embraced us with watery eyes: "We had no idea that you were making such a big film all these years!" Balbir's niece and nephew Chandni and Daman, who I watched grow up over the past five years into smart, competent, caring people, told us that they loved the movie and that "we have to hang out." I couldn't help but giggle. The family could not stop thanking us. I realized that this was all I needed to feel that we had done our job well. We told a story that was responsible to what is at stake for the people who have suffered - that their voices were represented well - and to what is at stake for audiences - that they can envision a nation that embraces all differences into the American mosaic. 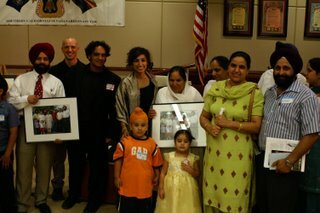 In the end, we presented the Sodhi family with our gift: a framed photograph of the last frame of the film, their family standing together, an American family. We also presented our long-time supporters GuruRoop Kaur Khalsa and Dr. Jaswant and Shavi Sachdev with our very first printed movie posters. It was an auspicious beginning for our film - and I can't wait to take it to cities around the country on a national tour this fall - New York, Boston, Los Angeles, San Francisco, Chicago, Miami, Sacramento, and even London for a UK premiere! Come see us if you can. The next day, the premiere made the front cover of the Arizona Tribune. “Our country is more secure today because law enforcement and America’s Arab, Muslim, Sikh and South Asian communities are working more closely together,” according to Homeland Security’s Daniel W. Sutherland. “We sincerely hope and expect that those relationships will deepen and strengthen as the years progress,” the officer for civil rights and civil liberties at the Department of Homeland Security said, introducing a panel on security enhancement through community involvement at the National Press Club in Washington September 15. Addressing the group, Assistant Attorney General for Civil Rights Wan Kim called the September 11, 2001, attacks in the United States “ a seminal event in the nation’s history” and deplored post-9/11 hate crimes against Arab and Sikh Americans. Among the most effective tools to counter such incidents are outreach programs to the Arab and South Asian American community leaders, he said, adding that cooperation with federal, state and local law enforcement officials has enhanced protection of civil rights in their communities and brought criminals to justice. Friday afternoon, 16 of Balbir Singh Sodhi’s friends and relatives gathered out front of the family’s convenience store on the corner of University Drive and 80th St. in Mesa to honor Sodhi’s memory. A two-officer color guard from the Mesa Police Department raised a new American flag as the small gathering watched quietly. On Sept. 15, 2001, Frank Roque did not see a softspoken, kind man behind the counter at that convenience store. Instead, Roque saw a man “in a turban’’ who he identified as a supporter of the extremist Muslim terrorists who had rained down death in New York, Washington, D.C., and Pennsylvania four days earlier. So Roque shot him dead. Balbir, as we all learned, was not even Muslim. He was a Sikh, and you’ll be hard-pressed to find a more peaceloving group than the Sikhs. It was a bitter irony, one that you would suspect has left deep scars on a family and a community. But that is a perception, too. Without question, Balbir’s family feels his loss keenly, but if you thought Friday’s ceremony was about grief, your perception is flawed. There is one thought that Sodhi’s son, Sukhwinder Singh Sodhi, can’t shake. As I watched the ceremony, my attention was drawn to three small children — grandchildren Balbir would never know — fidgeting out front of the memorial. And I thought of what perception Balbir might have had at this moment. His dream was to have his sons take over the business. 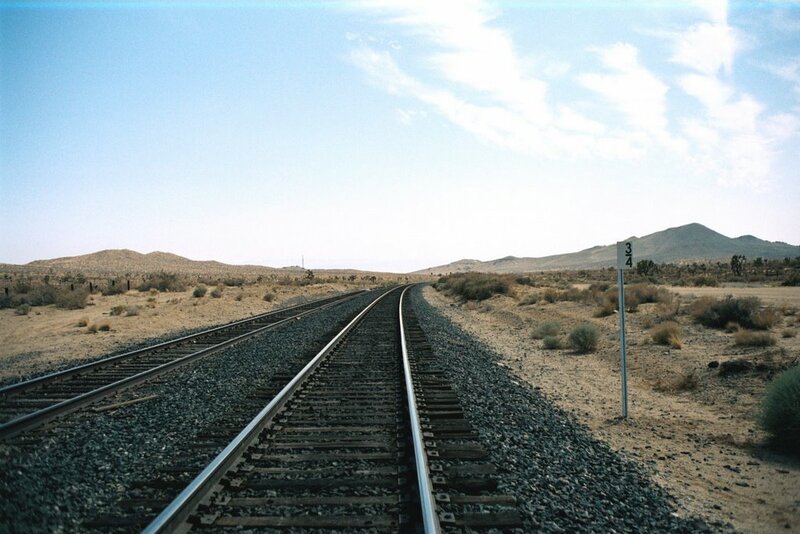 Shortly after Balbir’s death, Sukhwinder moved to Mesa from San Francisco to do just that. Balbir’s dream is being fulfilled. Khalsa shared with me a saying from the Sikh faith, one that applies to my faith, too: If you can’t see God in all, you can’t see God at all. Five years later. That phrase has been used time and again this week to describe how the nation recovered from and now reflects on what was once unthinkable: the terrorist attacks of Sept. 11, 2001. But it takes on added meaning for many in the Valley who have spent those years grieving, recovering and learning from another tragedy: the murder of Valley resident Balbir Singh Sodhi, a local businessman who became the nation’s first victim of a post-Sept.11 hate crime. Hundreds from across the Valley gathered at the Carpenters Union building in southwest Phoenix on Thursday night, the eve of the anniversary of Sodhi’s death, to memorialize him and watch the world premiere of a documentary prompted by his murder. Sodhi practiced Sikhism, a religion in which followers believe all paths lead to God. He was gunned down outside his Mesa convenience store four days after the attacks. His death stunned the Valley. Sodhi had worn a turban as part of his faith and had a beard. His killer, Frank Roque, believed Sodhi was like the terrorists who destroyed the World Trade Center. The documentary, which was the centerpiece of Thursday’s memorial, tells the story of Sodhi and dozens of other Sikh Americans who fell victim to crimes. It also tells the story of Valarie Kaur, the film’s creator and firsttime filmmaker, who, almost on a whim, raced among scenes of hate crimes nationwide after Sept. 11 with her cousin as a cameraman to document them. The idea of the journey was to tell stories that had never been told in detail, says Kaur, a 25-year-old Sikh. “Many people think that hate crimes and discrimination went away after the first few weeks after 9/11,” she says. But as her documentary and interviews with local Sikhs and Muslims show, that’s just not the case. Valley Sikhs tell stories of people telling them to “go back to Iraq” — although most are Indian or American — gesturing obscenely at them, or staring at them in airports. Muslims say they still face discrimination on the job. A study released this week by the Discrimination and National Security Initiative, which Kaur directs from her graduate school at Harvard University, found 83 percent of Sikhs said they or someone they knew has experienced a hate crime. Over the past five years, the Valley’s Sikh community has had time to recover and had countless opportunities to tell others about their culture. But with the initial shock of Sodhi’s murder fading, some, including his brother, Rana Sodhi, wonder: What’s next? For him, the answers aren’t simple. He still runs the store where his brother was killed. He has three children and a wife and is in the process of becoming a U.S. citizen. There isn’t much time for more. But his dreams are plenty. He eventually wants to expand his efforts to confront assumptions and misunderstandings about Sikhs, and possibly do it full time. Rana Sodhi says he recently turned down a position with the Anti-Defamation League, but would reconsider in the future. Rana Sodhi, who is from India but lives in Gilbert, says he will eventually consider running for political office. “Right now, I think that we must be (involved in politics) for our next generation,” he says. For now, with what little time he has left over, Rana Sodhi has created his own informal educational campaign. He speaks at schools and talks to local and federal police about Sikhism and its traditions. He speaks to journalists whenever they call, which they do more often in September, asking him to reflect on his brother’s death. He does all this, he says, with the hope that the information will save others from the pain he and his family went through. “It’s worth it if you save any life, save anything,” he says. Rana Sodhi’s dreams probably sound familiar to Kaur. Her film, “Divided We Fall,” has taken her “into the whirlwind,” she says. “It’s taken up so much of my life and shaped so much of who I’ve become, what I study, what I talk about, what I do professionally, personally, my goals,” Kaur says. On Sept. 10, 2001, Kaur was an undergraduate at Stanford University. Days later, she was a filmmaker. Now, in the coming year, she and co-director Sharat Raju, who joined the project midway through production, plan to show the film around North America. Then, they hope for a distribution deal or an airing on television. Kaur says she is at a new stage, a sentiment that seems to echo Rana Sodhi’s. She completed the film and, like Sodhi, appears to be heading for an expanded role in Sikh education or activism. These types of efforts are vital, says Guru Roop Kaur Kahlsa, a minister in the local Sikh community, to visually and culturally distinguish Sikhs from the image of terrorist. So why do major world events spur hate crimes? The easiest answer is a combination of fear and ignorance, says Kahlsa. But H.L.T. Quan, assistant professor at Arizona State University’s School of Justice and Social Inquiry, will tell you that’s just part of it. Quan says politically divisive talk after events like the terrorist attacks or this year’s huge immigration rallies create an “environment that is permissive” to hate crimes, even if politicians and community leaders don’t actually advocate the crimes. Quan says discussions based on fact are important to combat this. Otherwise, “if our government produces a kind of rhetoric . . . that is not based on a genuine dialogue, then hate crimes are going to continue,” she says. Thursday night’s event closed with a standing ovation by the audience, which was mostly Sikhs, Muslims and members of the community that had rallied around the two groups after Sept. 11. Before the film’s debut, directors Kaur and Raju hoped the documentary would have a lasting impact and create that genuine dialogue. Update: Thank you to Thane Eichenauer for pointing out a typo in this post. Divided We Fall: Americans in the Aftermath will make its World Premiere on the eve of the five-year memorial of Balbir Sodhi's murder, the first "retribution" murder in the aftermath of 9/11. On Thursday, September 14, the Phoenix Sikh community will host the event in memory of Sodhi and all hate crimes victims. The evening will include a Q&A with the filmmakers (Sharat Raju and yours truly) and a dinner reception hosted by the Sodhi family. Click here for the invitation. This event will launch us on a national film tour, where Divided We Fall will premiere in cities around the country, including New York, Boston, Los Angeles, San Francisco, Chicago, Miami, and Sacramento, as well as a UK premiere in London. After working on this film for the last five years (one-fifth of my life), I can hardly believe it. While my team was putting the finishing touches on the movie the last couple of months, I spent the summer traveling in India. It was an extraordinary journey into a deeply religious landscape – from colorful temples in the tropical South to sacred cities hugging the Ganga in the North to the salmon pink desert cities of Rajasthan and the vast green fields of Punjab and finally the monasteries hidden in the foothill of the Himalayas. Wandering through India was my first real break since I began making the film in 2001, and it was an opportunity to put the film - and this moment in history - into perspective. I have come to understand that suffering has always been part of this thing called life. Deep suffering, deep loss, the kind of pain that won't go away. The question is how we respond. Do we choose vengeance? Or do we chose that which is only less than vengeance - forgiveness? To me, forgiveness does not mean surrendering justice to some naive sentiment. Forgiveness can be any action that frees and protects the self without causing further unnecessary harm to the one who hurt you. I am learning to practice this form of forgiveness in my own life, but I think it can also apply to our choices in post-9/11 America. Can we - as a nation - carry out a war on terror that operates on a mode of forgiveness rather than the logic of reciprocity? Can we choose actions that protect ourselves without causing further unnecessary harm - both to our enemies and those who 'look' like enemies to us? When Frank Roque was arrested after murdering Balbir Sodhi on September 15, 2001, he yelled, "I am a patriot." His actions fell into a cycle of violence: because the terrorists took American lives, Roque decided to take Sodhi's life. After Roque was apprehended, the state decided that the only fitting punishment was to take his life and sentenced him to death in 2003. Then it changed its mind. Last month, the Arizona court commuted Roque's death sentence to life imprisonment, citing low IQ and possible mental disorders. I don't agree with the reasons- the calculated reasoning in Roque's murder outweighs the defenses of illness or poor intelligence to me - but I recognize that the decision ends one particular cycle of killing. His punishment is now less than vengeance - it protects society and hopefully frees the family and community without inflicting further unnecessary violence. Five years after 9/11, my hope is that our film can contribute to an ongoing discussion on how we choose to respond to violence. Through untold stories of hate violence after 9/11, our film explores ‘who counts’ as American in times of crisis, and by extension, who is granted respect and dignity. In this case, perhaps the recognition of Muslim and Sikh faces as ‘American’ would keep fear from steering us to vengeance and bring us one step closer toward a more perfect union. 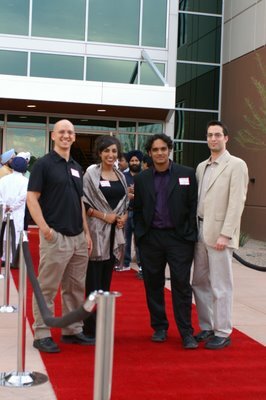 When I travel to Phoenix with the film next week, I will see the Sodhi family once again. I have interviewed them countless times over the past five years, each time leaving with “it will be ready in six months,” “…twelve months,” “…next year for sure.” This time, the film will be done. Completely done. Finished. And ready to enter the world – the web of relations where our stories are ongoing. The film will now become part of other peoples’ stories. I am deeply grateful that its official debut can honor Balbir Sodhi’s memory and the strength and resilience of his family and community. They are among the countless Americans whose lives have been damaged after 9/11 and who continue to rebuild. Even forgive. To some, their long beards and colorful turbans illicit thoughts of Taliban and al-Qaida jihadists bent on destroying the United States. But members of San Joaquin County's thriving Sikh community say they are Indian, with a religion far different from Islam. Five years after the terrorist attacks of 2001, they still suffer insults as a result of other people's ignorance. Amrik Singh Dhaliwal, president of the Stockton Sikh Temple, said he does not go out much. Still, three or four times every week, people hurl insults, calling him Osama bin Laden or worse. Divided We Fall: Americans in the Aftermath, an independent documentary film that chronicles a student's cross-country journey in the aftermath of Sept. 11, 2001, will make its world premiere in Phoenix on Thursday. The premiere honors the five-year memorial of the murder of Balbir Singh Sodhi, a Sikh man who was killed in Arizona in the nation's first "retribution" murder after 9/11. Hosted by the Phoenix Sikh community, the screening begins at 6 p.m. at Carpenter's Hall, 4547 W. McDowell Rd., followed by a reception and dinner provided by the Sodhi family. The premiere launches the film on a national tour this fall to New York, Boston, Los Angeles, San Francisco, Chicago, Miami, and Sacramento, as well as London for a United Kingdom premiere. CAMBRIDGE, Mass., September 11, 2006 — The Discrimination and National Security Initiative (DNSI) released a report, entitled "We are Americans Too: A Comparative Study of the Effects of 9/11 on South Asian Communities," on the five-year memorial of the September 11, 2001 terrorist attacks on New York and Washington. The report addresses the impact of and the responses to the discrimination that South Asians faced since 9/11, focusing specifically on Indian Hindus, Pakistani Muslims, and Sikhs in the Washington, DC area. Through in-depth interviews conducted over the course of two years, the study revealed that 9/11 has had different effects on the identity, political participation, and grassroots mobilization efforts of members of these groups. * After 9/11, only 15% of Indian Hindu respondents felt afraid for their physical safety, as compared to 41% of Pakistani Muslim respondents and 64% of Sikh respondents. * 83% of Sikh respondents said they or someone they knew personally had experienced a hate crime or incident. * 35% of Pakistani Muslim respondents considered leaving the United States because of the hostile post-9/11 environment. 86% of Pakistani Muslim respondents also said they became more interested in domestic and international politics after 9/11, and generally they felt more of a desire to participate politically. June Han, a doctoral candidate in the Department of Sociology at Harvard University, authored the report. "We now live in an era in which individuals who are or are perceived to be Arab or Muslim, including South Asians, are viewed with suspicion because of their religious background and/or the color of their skin," said Han. The full report may be accessed online at http://www.dnsi.org. DNSI was founded after 9/11 to examine the mistreatment of minority communities during times of military action or national crisis. The project specifically aims to chronicle such mistreatment in an information repository and to present the human consequences of this mistreatment in original reports. The report released today is the first extensive study sponsored and issued by DNSI. Dawinder "Dave" Sidhu, a Founding Director of DNSI, notes that the project was "created in response to a climate in which Muslims and those perceived to be Muslim were being killed, harassed, and subject to other noxious behavior, and in which meaningful academic information did not exist as to the human impact of this climate." The report discusses respondents' reactions to various situations after 9/11. At times, they were left wondering why they did not get jobs or promotions, or why someone sitting next to them on a plane would ask to be reseated. In many cases, they concluded that these types of occurrences resulted from 9/11-related discrimination. The report also examines the emergence of hyphenated-identities after 9/11, such "Muslim-American," and the practice of Sikhs and others putting up American flags on their homes and cars to prove their allegiance to America. 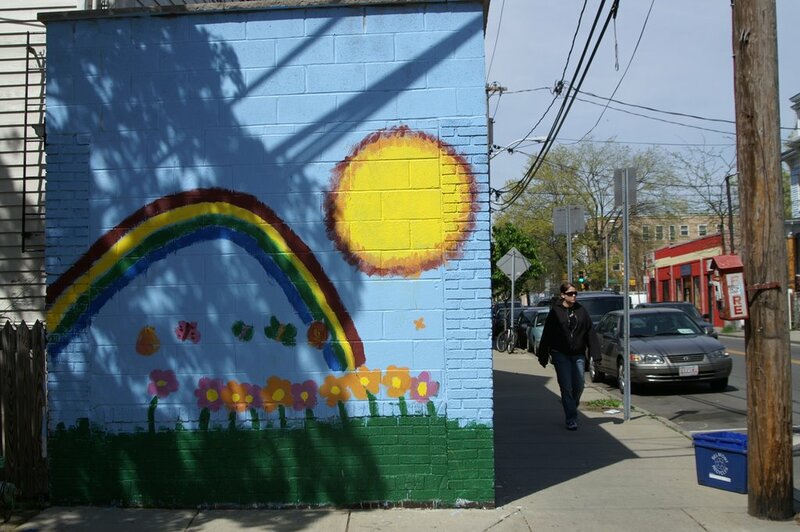 "Many Americans know that hate crimes took place after 9/11, but we, as a nation, have yet to understood the ongoing impact of such violence, or how it continues to divide us." 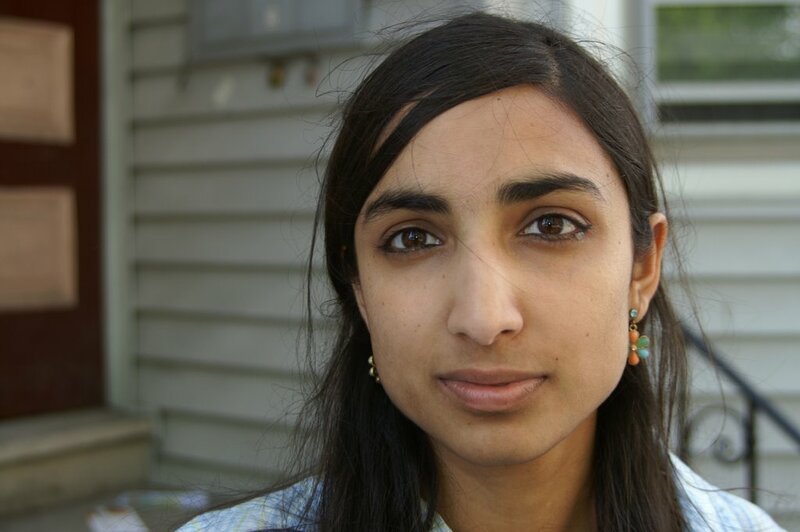 said Founding Director of DNSI Valarie Kaur, whose new documentary film on the subject Divided We Fall: Americans in the Aftermath premieres across the country this fall. "We hope that the work of DNSI helps fill this gap." More information about the report and other projects of DNSI may be found at http://www.dnsi.org. 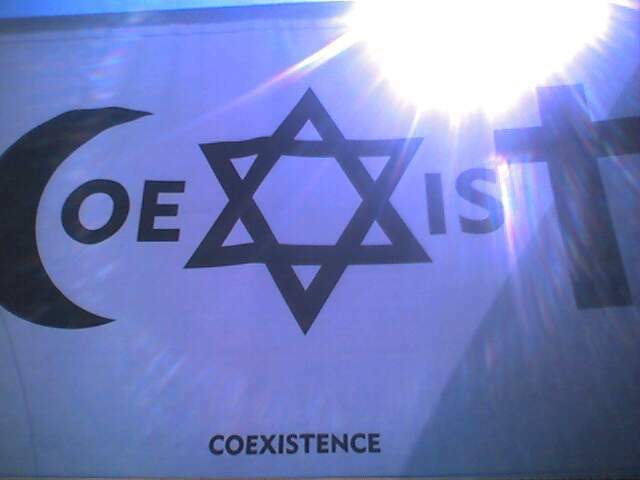 DNSI is an affiliate of the Pluralism Project at Harvard University. A federal judge in Oregon yesterday allowed an Islamic charity to proceed with a suit challenging the surveillance program in which the government, without warrants, monitors some international communications of people in the United States. Southern California law enforcement officials joined religious leaders Thursday in urging peace and calm in advance of the fifth anniversary of the Sept. 11 terrorist attacks. American Muslim leaders called on members of their own community to take the initiative in improving public perceptions of Islam. "Every single Muslim must stand up and face the music," said Edina Lekovic, a spokeswoman for the Muslim Public Affairs Council. "9/11 propelled the Muslim American community to take up their responsibility … to promote a different vision of Islam: to say we stand for life, we stand for mutual coexistence." The 2001 terrorist attacks that took place in New York, Pennsylvania and Arlington, Va., sparked an increase around the country in attacks against Muslims. The July 7 suicide bombings have had a huge impact on the distrust of Muslims in Britain, a survey revealed today. The new poll showed Islamist terrorism had led people to feel substantially less comfortable with having a Muslim neighbour, boss or in-law. While 77 per cent of the 1,100 people questioned by TNS/Global after last year's July 7 attacks recognised that Muslims suffer discrimination and prejudice, they admitted terrorist bombings had made their feelings more negative towards followers of Islam as a group. In a startling finding, the percentage agreeing that Muslims make the security situation in Britain worse rose from 35 per cent to 53 per cent. Before July 7, 34 per cent said they would feel comfortable with a Muslim neighbour but this figure fell to 21 per cent after the bombings which claimed 52 innocent lives. The percentage indicating they would feel comfortable with a Muslim boss fell from 37 per cent to 20 per cent, and those asked the same question about having a Muslim in-law dropped from 32 per cent to 27 per cent. However, the poll found that people broadly shared a vision of Britain as an equal society with a common set of values. The onrush of hate crimes against Muslim-looking people following Sept. 11, 2001, has decreased, but a representative for a large Indian cultural organization based in Palatine believes misperceptions still exist that socially impact his community. When asked if his people still feel the sting of discrimination or outright hostility, spokesman Rajinder Mago of the Punjabi Cultural Society of Chicago in Palatine set the record straight. "The first thing is that we are not Muslims," said Mago, a Sikh co-founder of the society and its president in 1996. "Sikhs are of a distinct religion in the world with 23- to 25- million followers. We wear turbans and have beards, which is where some people mistake us for Muslims. When they look at us, they see Arabs, Muslims, Afghans and even Osama bin Laden." Because of education programs that explain the Sikh religion as well as Sikhs participating in popular American traditions such as Fourth of July parades, Mago said people are beginning to understand his faith. Muslim girls are forging ahead at school but hit a brick wall of discrimination when they enter the workplace, the Equal Opportunities Commission says today in a report on its two-year investigation of the experiences of women from ethnic minority communities across Britain. Nearly 90% want to work full-time after leaving education, balancing employment with having a family. Paramjit Kaur Khalra, the widow of human rights activist Jaswant Singh Khalra, filed a legal petition today calling for the investigation and prosecution of former police chief KPS Gill for the abduction, illegal detention, torture, and murder of her husband. Eleven years ago today, on September 6, 1995, members of the Punjab Police operating under Mr. Gill’s command abducted Mr. Khalra for investigating and exposing the “disappearances” and secret cremations of thousands of Sikhs in Punjab by security forces. Mr. Gill’s subordinates illegally detained and tortured Mr. Khalra for nearly two months, before murdering him in late October 1995. Mrs. Khalra, represented by High Court attorney Rajvinder Bains, filed the petition in the Punjab and Haryana High Court after the Central Bureau of Investigation (CBI) refused to investigate and prosecute Mr. Gill. Ensaaf, a nonprofit organization based in the U.S., worked with Mr. Bains to draft the petition and apply the international law doctrine of superior responsibility. “Despite powerful evidence and a strong basis in law, the government has, thus far, refused to investigate or charge KPS Gill for his role in murdering Mr. Khalra,” said Sukhman Dhami, Co-Director of Ensaaf. “Until the architect of this crime is brought to justice, Jaswant Singh Khalra’s call remains unanswered.” In November 2005, the Sessions Court convicted six of Mr. Gill’s subordinate officers for the abduction and murder of Mr. Khalra. Near the end of the trial, special police officer Kuldeep Singh, who guarded Mr. Khalra in illegal detention, testified that Mr. Gill had interrogated Mr. Khalra several days prior to Mr. Khalra’s murder. His testimony also indicates that Mr. Gill ordered subordinates to murder Mr. Khalra. “This petition demonstrates that the weight of Indian and international law, applied to the evidence, provides a clear framework to prosecute Mr. Gill’s acts and omissions in regards to the crimes committed against Mr. Khalra,” said Jaskaran Kaur, Co-Director of Ensaaf. Read the international legal arguments and the executive summary on Ensaaf’s website ( http://www.ensaaf.org/Gill-petition.html ). Please also visit the page on Jaswant Singh Khalra ( http://www.ensaaf.org/khalra.html ) to learn more about his ourageous work to expose mass secret cremations in Punjab. Nearly half of Londoners believe all religious schools should be banned, according to a new survey. Despite a couple of isolated incidents in Laramie, many Wyoming Muslims say they were spared backlash from the Sept. 11, 2001, terrorist attacks on New York and Washington, D.C. In Cheyenne, a small group of about eight Muslim families was invited to speak at various churches shortly after 9/11. "We were all nervous, but the community was wonderful," said Arshi Nisley, a native of Pakistan and now an instructor in English at Laramie County Community College. Mohammed Salih, a native of Sudan in East Africa who came to Cheyenne in 1969 and is dean of the LCCC business and technology department, agreed. How has Sept. 11 defined us? Over and over, television channels across the country replayed the Sept. 11 terrorist attacks. Planes crashing into buildings. Osama bin Laden's mug shot. A smoking Pentagon. The faces of the terrorists plastered on television screens around the world. Repeat planes. Repeat Osama. Repeat Pentagon. Repeat terrorists. But eventually, the actual events flooded into the ignorant minds of many Americans and translated into destructive, unfair, racial profiling. In Flint, a convenience store down the street from my aunt and uncle's house was burned down shortly after the Sept. 11 terrorist attacks. Why? Because the owners were Arab. The December following that horrible September morning, a friend and I were shuffling through new airport security before a flight to Germany. A family sat across from us at our terminal. A mother. A father. Three small children running around playing games, giggling. All of them — with their dark hair and brown skin, the father's head wrapped up in a turban — fit the mold. "I don't want to fly with those people," my friend said nodding in their direction, "What if they blow up the plane?" And it turned out she wasn't the only one reacting to this family with blatant, ignorant racism. I sat there and watched, horrified, as an airport security guard, decked out in an intimidating uniform — guns hanging from his hips — interrogated this family and later led them to a room behind locked doors where I can only imagine what happened. Eventually, the family emerged from behind the doors with exhausted, shocked looks on their faces. The children were silent. The mother and father held each other's hands. They boarded the same plane we did. Imagine this — they didn't blow it up. CAN targeting stop and search powers against people of Asian appearance — sometimes known as racial profiling — ever be justified? Its advocates argue that the terrorist threat comes principally from people from such groups and that it is senseless to search in a random, untargeted way. Nor is there a shortage of precedents: during the Second World War both the US and Britain interned thousands of people with Japanese and German national origins, believing that they were more likely to threaten the state. Targeted stop and search, it is said, is a far less intrusive measure, one that is both justified and proportionate given the challenge that terrorism represents. This “common sense” approach is objectionable in practice and principle: it is ineffective, as non-Asians can be used for attacks; it is over-broad, including people who, despite appearances, do not belong to racial or religious groups suspected of terrorism, such as Sikhs; the proportion of people involved in terrorism is minute; and it is wrong to stigmatise all by reference to a tiny minority; and targeting causes resentment and disaffection. As the war on terror heads into its sixth year, a new racial stereotype is emerging in America. Brown-skinned men with beards and women with head scarves are seen as "Muslims" - regardless of their actual faith or nationality. Law enforcement measures, politicians, religious leaders and the media have contributed to stereotyping Muslims as a race - echoing the painful history of another faith. "Muslims are the new Jews," said Paul Silverstein, an anthropology professor at Reed College in Oregon who studies the intersection of race, immigration and Islam. "They're the object of a series of stereotypes, caricatures and fears which are not based in a reality and are independent of a person's experience with Muslims." The U.S. Equal Opportunity Commission has filed a suit against a Mendocino County restaurant for discriminating against a Moroccan dining room manager by firing him after he protested a customer's mistreatment of an Arab waiter from Tunisia. The suit, brought on behalf of Abdellatif Hadji against the Albion River Inn, was filed by the San Francisco District office of the EEOC in U.S. District Court for the Northern District of California. The suit alleges that that an Arab waiter from Tunisia under Hadji's supervision was harassed by a customer and when Hadji came to his defense, the customer said, "If you don't like it, why don't you go back to your country?'' and "I fought two wars to get rid of people like you!'' When Hadji refused to apologize to the customer, he was fired. Title VII of the Civil Rights Act of 1964 prohibits employers from punishing employees for opposing workplace discrimination, including harassment by customers.